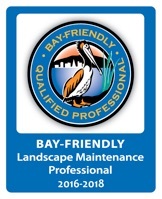 We work in the city of Alameda, Oakland, Berkeley area, and San Francisco. Other areas are possible, depending on the job. We offer creative garden design, thoughtful installations, and personal and caring maintenance. We also offer consultations and gardening workshops. We consider ourselves not only experienced gardeners, with a deep understanding of plants and trees, but visual artist. We specialize in converting lawns to low-water gardens, low water and drought-tolerant plantings, and wildlife attracting / habitat gardens. We use sustainable, organic methods (no chemicals and synthetic fertilizers), support and implement Bay-Friendly practices whenever possible, prune and cut back by hand (no loud, polluting machinery), and are blower free. Please browse around and check out our portfolio of some of our gardens that we have designed and maintained, our services and rates, and more information about us. A video of an installation of a meditation garden, featuring a labyrinth with a water feature in the center.